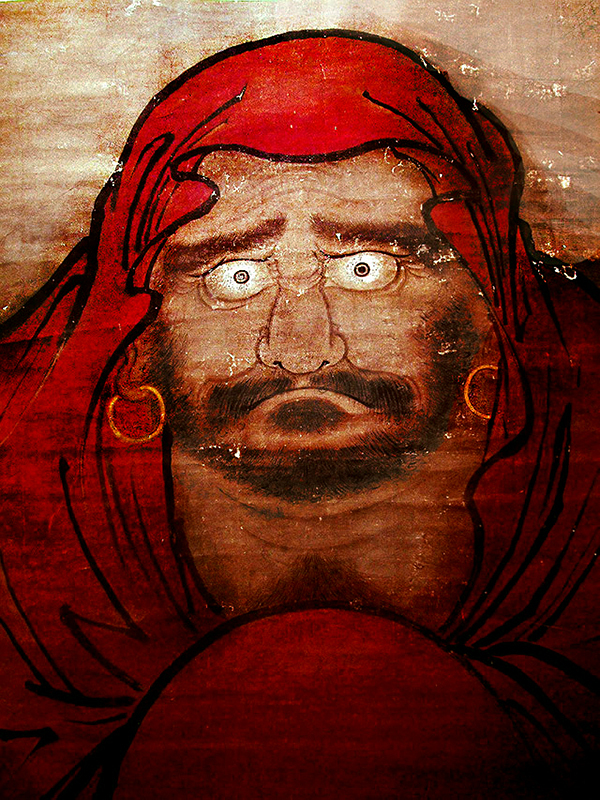 imitates the style of Northern Zhou tomb mural art. 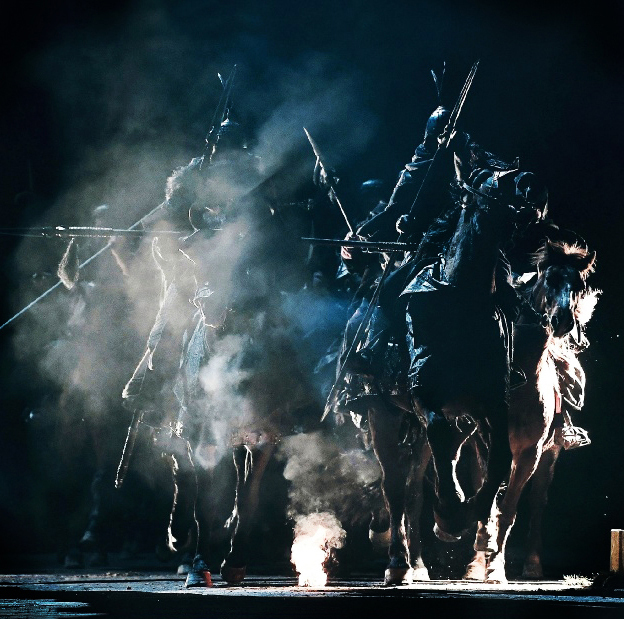 Red cloaked riders covered from head to their knees on fearsome nags, iron horse lords who united the north, ferocious in war like their steppe ancestors, and deeply Chinese in rule. 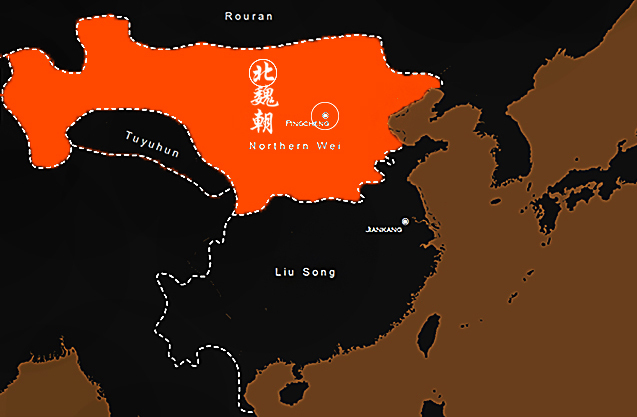 If you would have lived in the Chinese realm during the 5th and 6th centuries in what would be known as the chaotic Northern and Southern dynasties, this is what many would have said of the barbarian founded, but Chinese minded kingdom of Northern Wei: A kingdom that was the undisputed master of the north for more than 100 years. We will briefly examine their origins, as well as the political climate of northern China in this article. came from a Buddhist parable. They had came as conquerors. The first thing to note about the Northern Wei is that the kingdom's Chinese- sounding name of "Wei" was not what these conquerors originally called themselves. But they did embrace this mantle of identity so as to more closely identify with their Han subjects. 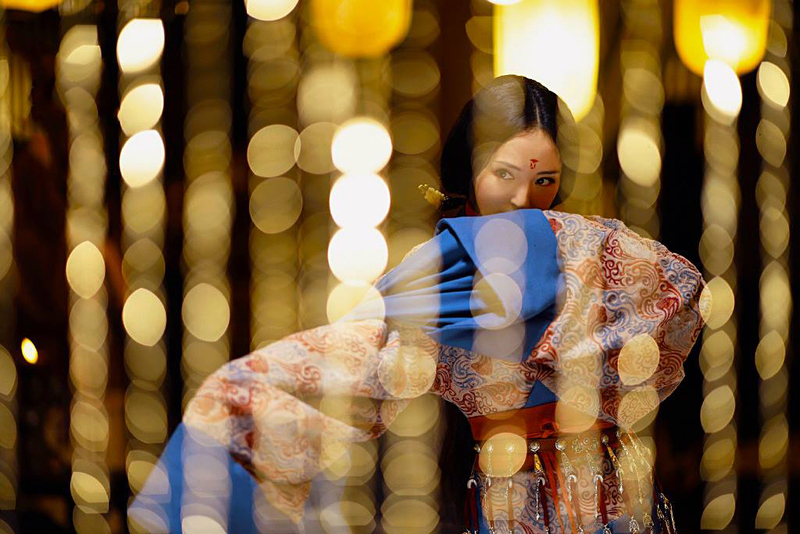 Before the Northern Wei they were the Dai, and simply the Touba clan of the fierce Xianbei people. They were foreigners who had taken initiate upon themselves to assimilate to the culture of their hosts. 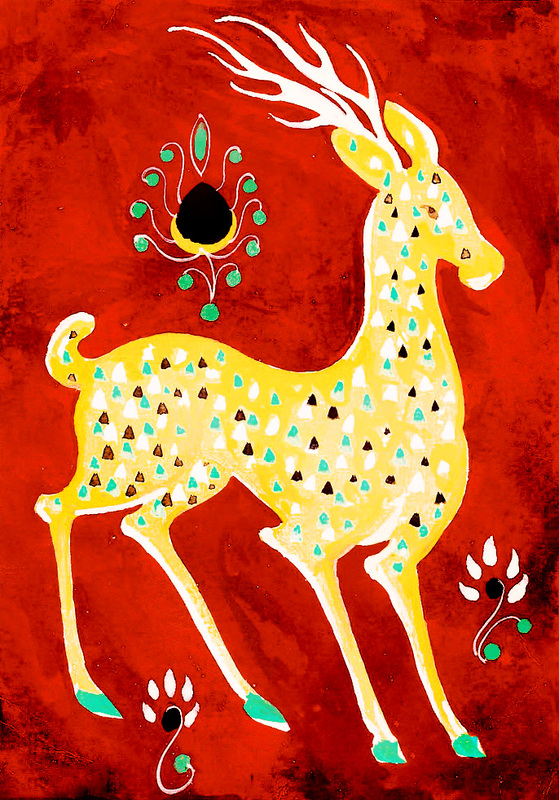 deer are seen as auspicious by steppe cultures. The rulers of the Northern Wei originated from one of the many powerful tribes in today's Mongolia. In the aftermath of the great Han dynasty's collapse, China was plunged into a prolonged period of strife and anarchy. 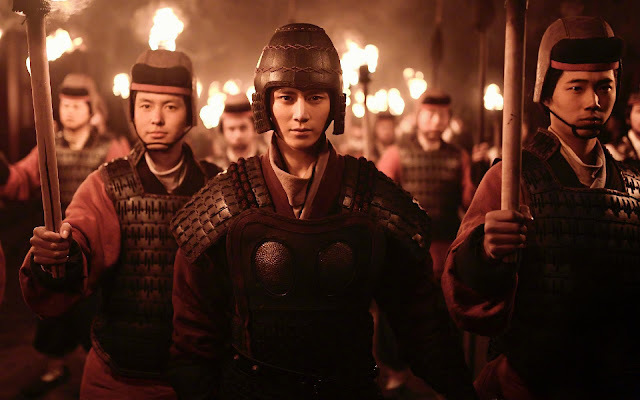 The highly destructive Three Kingdoms period saw vast armies and vast number of soldiers clashing against each other in a realm wide struggle. After nearly 60 years of total war, China was finally united under the Jin dynasty (265–420) of the Sima clan. However, it would be a very short lived peace. 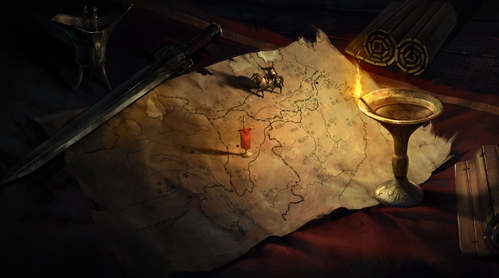 Soon the realm fell into bitter wars again during a great decade long civil war between the many imperial princes called the War of the Eight Princes. 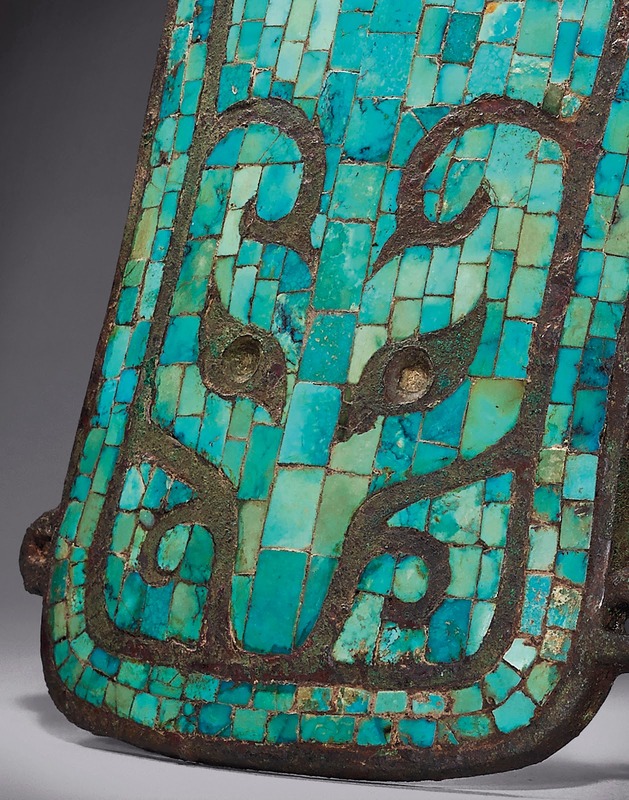 It was during these struggles that some of the outlying princes desperately requested aide from the fierce Xianbei (Proto-Mongol) people of the northern steppes to intervene on their behalf. It was a decision that would change northern China forever. And it was here that the forefathers of the Northern Wei entered into China proper along with tens, hundreds of other hordes. A row of Xianbei cavalrymen wearing their scarlet riding cloaks over heavy armor. These elaborate cloaks would not only have extended sleeves but also pockets. Unlike in the past, what came this time was not a trickle of eager mercenaries ready for booty under the service of the Jin princes but a whole flood of invaders spilled into northern China like an avalanche. Many of them had coordinated this breach in conspiracy and within months, whole tribes had broke into China like the massed Germanic migration into Europe, they would drive out the Jin completely from their heartlands in the Yellow River until they were banished to the south- never to return. The north now belonged to the barbarians. 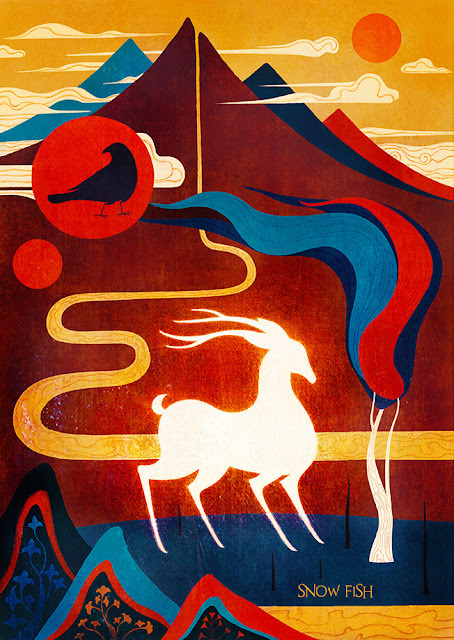 the style of Northern Zhou tomb mural art. However, there would be no peace between the various new horse lord masters of northern China. They were all different ethnically, culturally, and linguistically from one another, and immediately, they began fighting and bickering with each other. For northern China, the 150 years that immediately followed from the fall of Jin until the beginning of the Northern and Southern Dynasties was called the Sixteen Kingdoms. 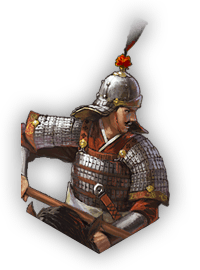 A period of extreme chaos and warfare where many ruthless steppe dominated (and occasionally several native Han) polities emerged, fought, and was destroyed in rapid succession. In their protracted fighting, the former great cities and agrarian fields of northern China dating from as far back as the Zhou dynasty was reduced to ruins. Settlements shrank by staggering sizes and in the aftermath of the farmfield's destruction whole communities disappeared, millions fled to rejoin the Jin remnants in the south, others were forcibly impressed by the steppe lords and sent off and resettled into the frigid steppes- becoming nomads and lost their Han ways. Whole swath of the agrarian lands in the north was turned to pastures. Former cities became small military fortresses, and the complex economy of the previous Han and Jin era virtually died across the north and was turned into a primitive barter system. 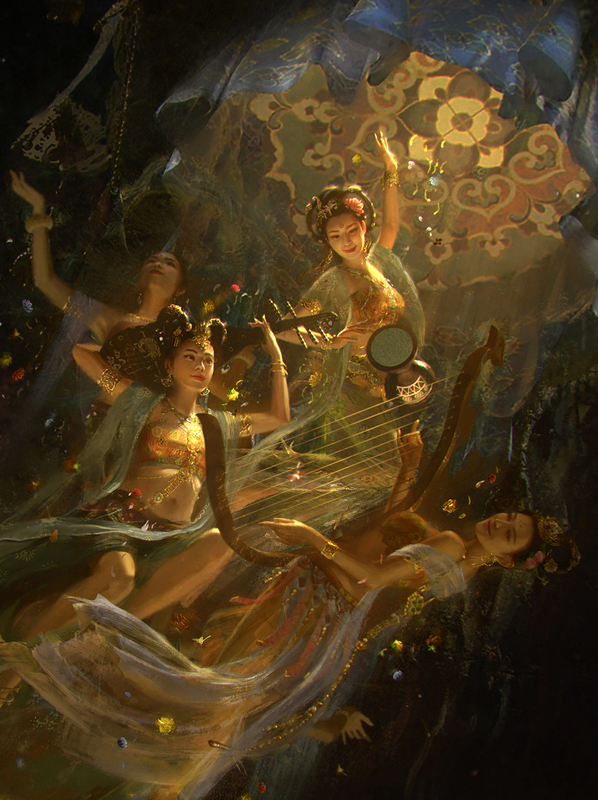 Old China, that of the children of the Yellow Emperor, of the brilliant cities and figures was all but a memory as the powerless locals looked at the ruins and constant strife all around them. 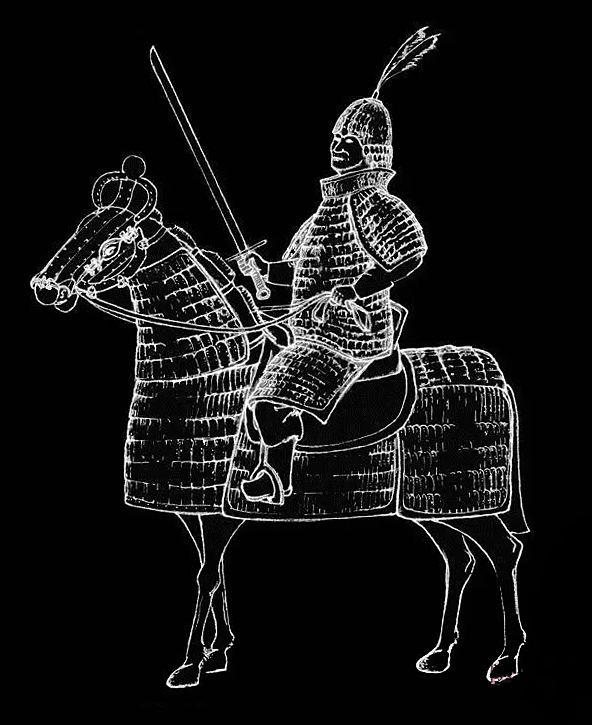 Iron Horse: A cataphract from the late Sixteen Kingdoms period in northern China, cavalry would dominate the warfare of northern China for the next several centuries. 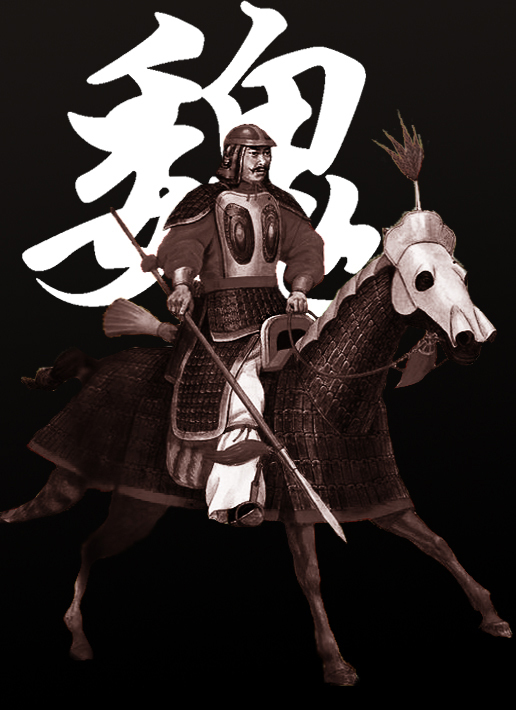 Horsemen of the powerful Northern Wei would be elaborately wreathed in riding cloaks and their horses would sport a tall plume called Jisheng (lit.parasite) on the horse's flank. Ironically, perhaps to both the natives and the foreigners, the next crop of leaders who would try to resurrect a functioning Chinese state would be the "barbarians" themselves. 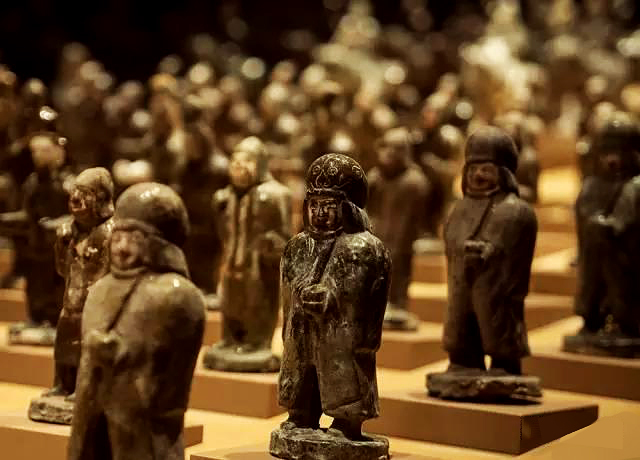 It should be mentioned that as soon as the many tribes breached into northern China many of the chieftains had been impressed with what a functional Chinese province accounted, both in terms of the raw population it sustained and the wealth and goods it could produce. 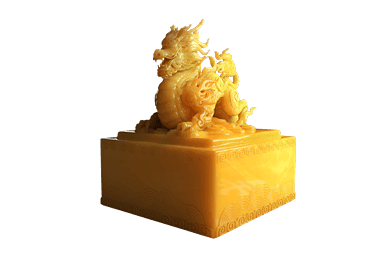 For a people who had to rely on trade and raid to get goods like lacquered containers and well forged weapons the ability to have them made and replenished annually is a game changing luxury they had never enjoyed beyond the Great Wall. Thus many did fight to preserve the remnants of China as it was. However because none of them could enforce such a policy across the spectrum of the north and guarantee such among their peers, as war and strife wracked through the north infrastructure severely decayed on a geometrical level. 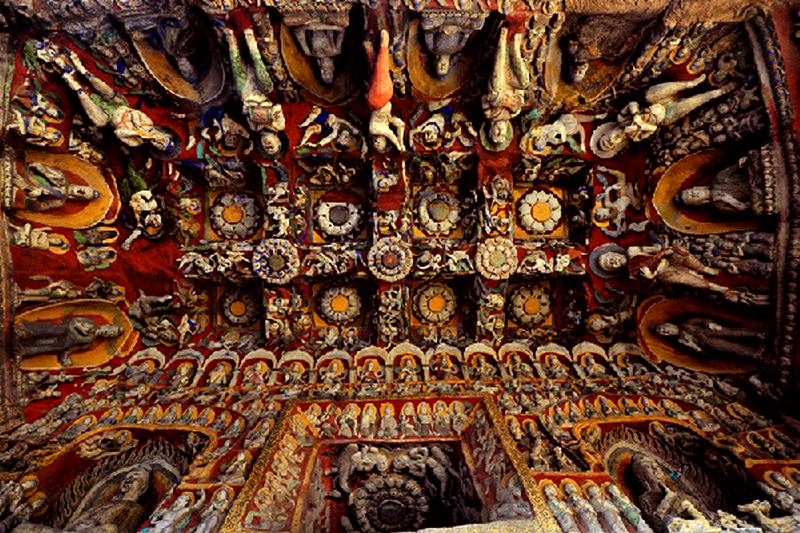 Middle: Mural from the Mogao Caves in Dunghuang dating from the late North and Southern dynasties period and early Sui- Tang period. Two fortress cities are depicted with sienna colored walls and white plaster painted towers. 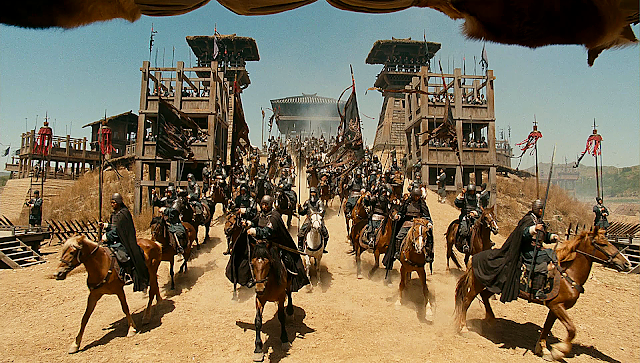 The walls are surmounted by many military banners and warring horsemen charges into each other's ranks near the lower left of the composition. As settlements were portioned to competing chieftains, so dies the old trade between them, as walls were battered down without a nearby quarry to repair them, they are left in ruins, as fields are turned to pastures, thousands died and the rest would abandon the barren lands. And like the Goth, the Franks, and the Danes who took over the remnants of the Western Roman Empire, nearly a full century of struggle later, the descendants of the many steppe tribesmen (and the natives) would have looked at the architecture and the inventions of the previous dynasties and be utterly spellbound that such innovations were possible in ages past. However, many chieftains did try their best to preserve the past in the dark ages. As previously mentioned, as soon as the tribes entered into northern China, many had tried to adopt the advanced Chinese features they perceived and graft them upon their own political apperatus. They even made attempts to Sinosize and thus adopt the robust bureaucracy and taxation systems of the Han and Jin courts. These courts would work for a while and developments resume, the broken apparatuses of the former dynasties repaired. 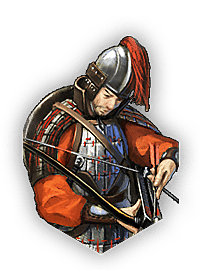 However as soon as one of these warlords was killed, or his tribe is defeated upon the loss of strong leadership, all the accumulated developments that has been accrued would quickly be undone under the hands of nomadic rulers who are uninterested in such recoveries. Upon the death and collapse of each such polities, it was back to square one. Contraptions and institutions that have meaning and power left as retainers upon the funeral pyres of the defeated regimes. It was in such a cyclical backdrop of destruction and neglect that the founders of the Northern Wei arose. 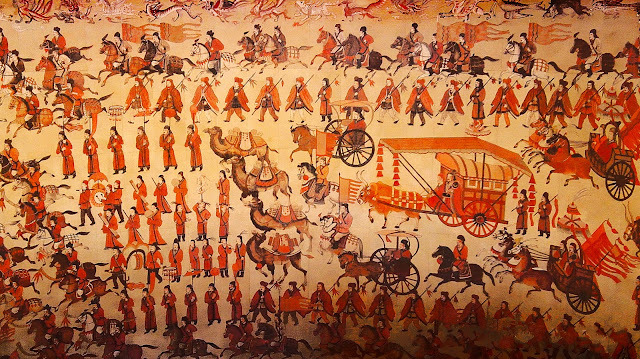 Reconstructed mural of a Northern Wei military procession, displayed at the Datong Museum in Shanxi China. The procession depicted Northern Wei's military strength at its height. Note the red riding cloaks worn by the honored guards arround the imperial carriage. 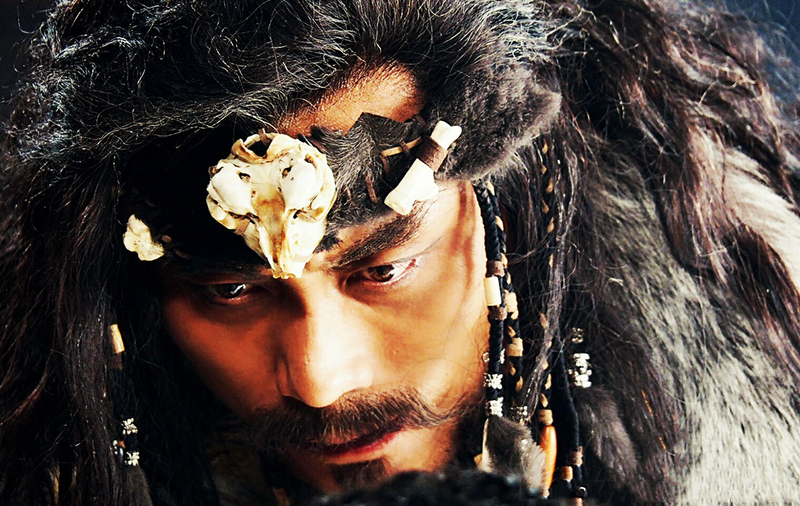 Before coming into the lands of the Jin dynasty, the Xianbei had been a serious power on the open steppes. 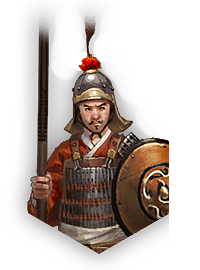 They had displaced the Xiongnu (the Huns) at the end of the 1st Century AD and became the dominate power on the grasslands. 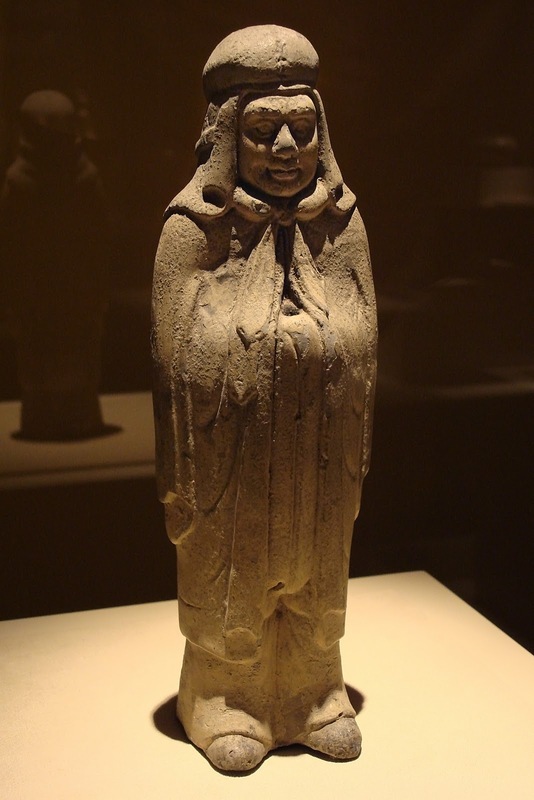 Of particular note is the fact that the Xianbei had a more stratified society and more entrenched distinctions between the classes, they had a formalized nobility where they were organised in smaller tribes led by chieftains, who in turn obeyed to higher chieftains that commanded larger social structures. And though they were powerful, in time, they became a divided people. There were many tribes of Xianbei that collectively composed of the Xianbei state or the Xianbei Confederacy, and by the third century the Xianbei Confederacy as a whole began to splinter. in northern China and take over its defenses. During his rule, he dealt several defeats against the steppe people that bordered his northern frontiers and received their submission. The Touba founding fathers of the Northern Wei traced their lineage to a kingdom called Dai (310-376) that was settled in the grasslands of today's Hebei Province, right outside the Great Walls on the open steppes. 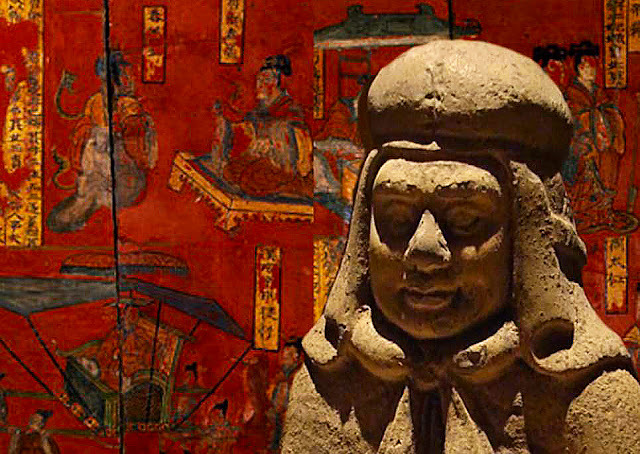 The ancestral home of the Tuoba Xianbei was the Greater Khingan range of Inner Mongolia. 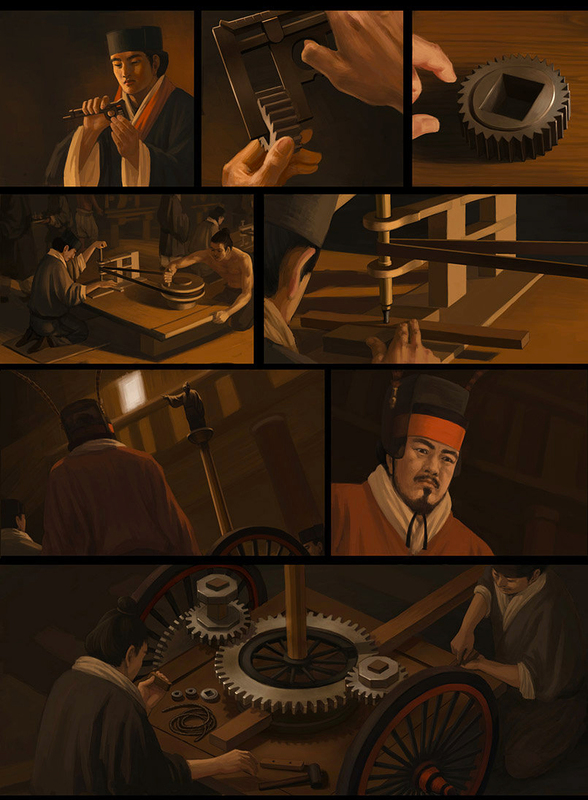 In 258, the clan migrated south to the Yin Mountains and spread into the Ordos Loop region near Jin's northern frontiers. It was during this time- just as the many Xianbei began to set apart from their own brothers, the previously defeated Xiongnu began to revive as a dangerous power again on the open steppes. The Touba would became an ally of the Jin and and rendered aide to the Jin dynasty during its desperate hours. 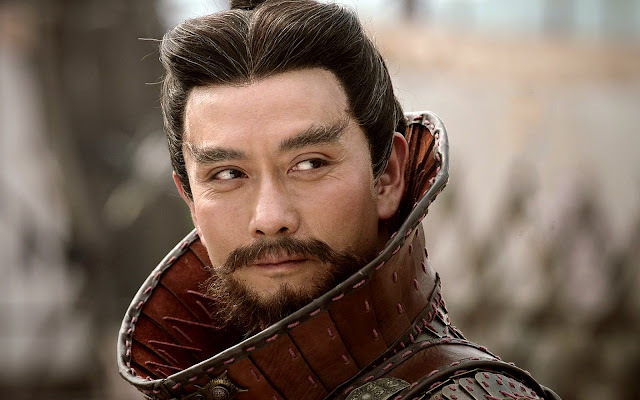 Before the massed migration that started the Sixteen Kindoms period the Jin Dynasty had developed an alliance with the Tuoba against the other enemies beyond the Great Wall, namely the resurgent Xiongnu. As the Jin state succumbed to the massive civil war called the War of the Eight Princes, the Touba clan was rewarded for their service acting as a soft shell beyond the hardshell of the Great Wall. 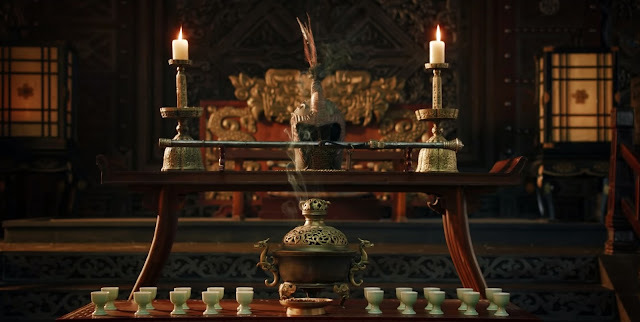 In 315 the chieftain of the Tuoba named Yilu was granted the Chinese styled- imperial title of "Prince of Dai"~ from where the future kingdom would derive its name. 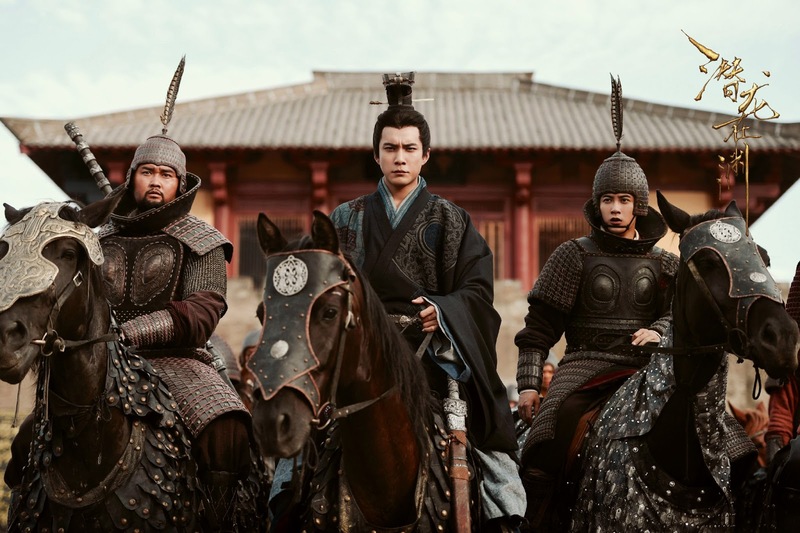 Here is where the story of the Touba lords of Dai synchronize with the great barbarian invasion of northern China and the expulsion of the Jin dynasty. After the leaderless Jin princes mistakenly opened northern China to let the barbarian armies in, several tribes of the Xianbei would rush in to stake their claims in the northeastern portion of the Chinese realm. encompassing most of the grasslands beyond the Yellow River in the Hebei, Shanxi, Inner Mongolia and Liaoning area near Korea. 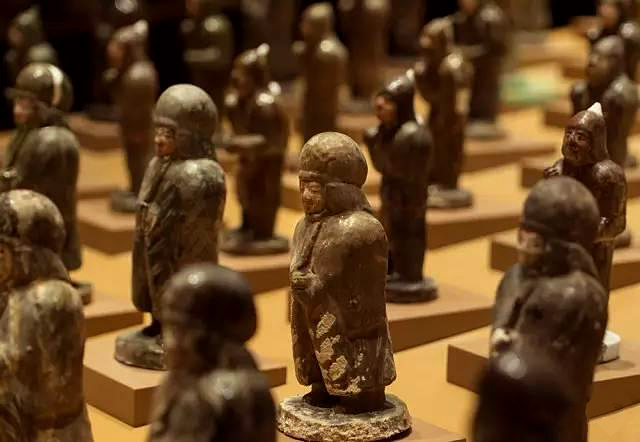 In total, the Xianbei people would establish six kingdoms of their own of the total Six Kingdoms such as the Former Yan (281-370), Western Yan (384-394), Later Yan (384-407), Southern Yan (398-410), Western Qin (385-430) and Southern Liang (397-414). Each would be an aggressive and active player in the chaos of the endless wars across the north. And although Dai was not counted by historians as one of these "Kingdoms," because it was not part of the Jin dynasty and thus not one of the 16 inheritors of what was northern Jin China. It still should be counted as one, and a significant power. Although territoriality, unlike their ambitious brethren the Touba contented themselves with their fief by living north of the Great Walls. Despite this passive posture, trouble would come looking for the Toubas of Dai. 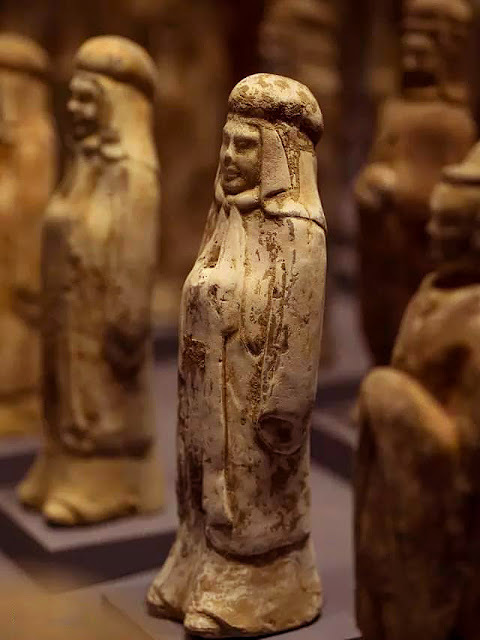 Most of the Xianbei kingdoms were rapidly destroyed or forcefully subjugated in the 370s by the strong kingdom of Former Qin who came from western China, led by the Di people (a Tibeto-Burmese people.) 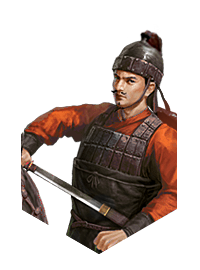 The kingdom of Dai was no exception against the invaders and they too were defeated and subjugated to become vassals of Former Qin in 376. 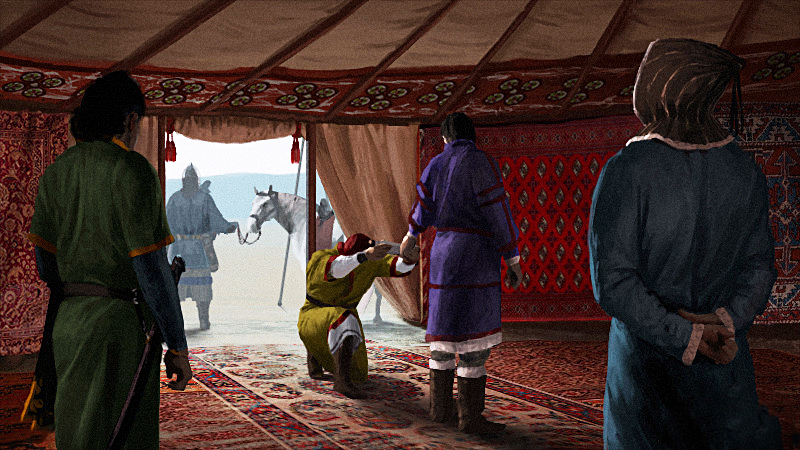 That same year, its royal Touba clan was forced to flee north into the wastelands of the northern steppes. It also was in that fateful year, in 376 that the north was truly unified under one power for the first time since many disparate people had poured into northern China. 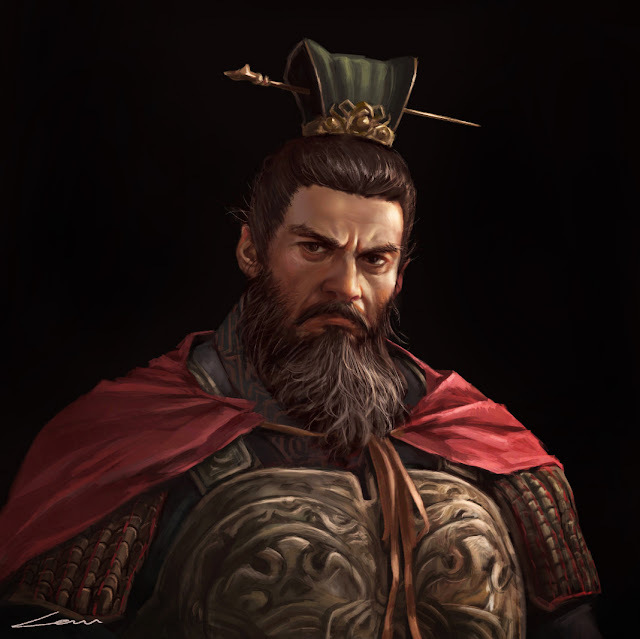 Former Qin would have truly became the undisputed hegemons in the north if they had time to consolidate their holds over the various subjugated peoples. 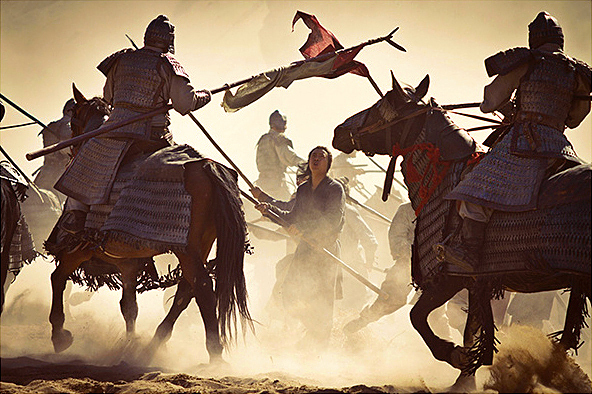 But their ambition to conquer southern China and crush the Jin dynasty proved their undoing. In their 383 massive invasion to conquer the south, 6 of every 10 able-bodied men in the north were conscripted: 870,000 were mobilized. At the crossing into the south, only 80,000 southerners stood against the overwhelming northern army. And it was here that Former Qin's ambitions, its fortunes died. 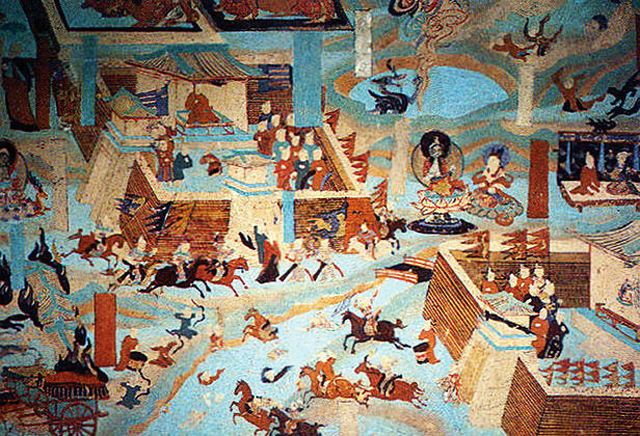 In one of the most spectacular upsets in world history, despite being out numbered nearly 11 to 1, the elite southern army completely destroyed the northern army in the Battle of the Fei River. A war of aesthetics, a side by side comparison of a contemporary northern warrior in armor beside a southern soldier. 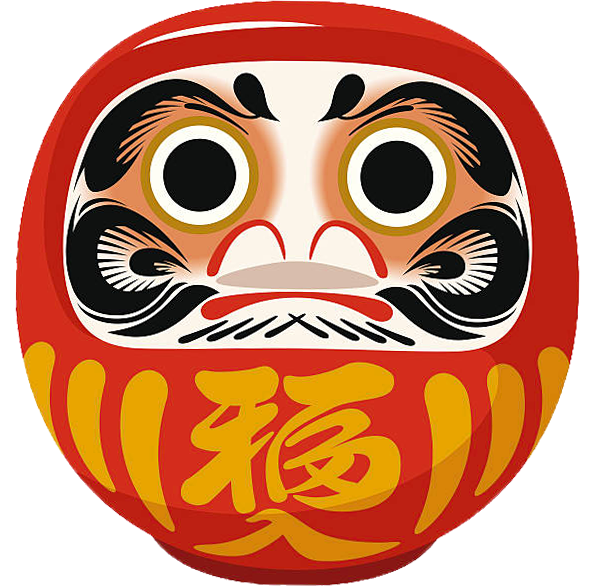 One could easily distinguish the northern warrior by his round and curvilinear design, by his round pauldrons and his curved helmet. 700,000 of the 870,000 men army were slaughtered by the river's crossing~ sending the tattered remnants of the bleeding northern army backward, within months after the defeat, a chain reaction of rebellion erupted across all pockets of the Former Qin empire, the Xianbeis would retake the north in the chaos, and within a decade both the royal dynasty and Former Qin as a whole would be utterly wiped out. The Di people too, would be absorbed and forcefully assimilated by their enemies and disappear entirely. Such is the cost of one fatal, unwise battle that precisely reflected the Darwinian nature of the times. 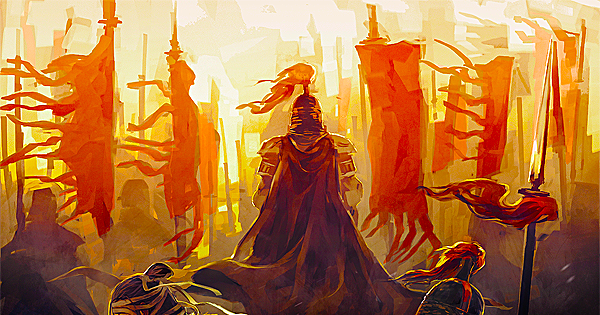 However, the destruction of Former Qin would also pave the way for the ascendancy of the heirs of Dai. They Touba leaders of the vanquished Dai would return. In 386, Tuoba Gui, a scion of the displaced Touba clan that had been driven into the steppes would return and revived his ancestor's kingdom, only this time he would renamed it "Wei." Former Qin's ruthless subjugation of the many northern tribes would precisely pave the way for the Touba clan to fill in the vacuum. Northern China would see another series of conquests. Only this time, it will last. Only this time, they would not only conquer northern China but become so Chinese that the future Chinese civilization would be indelibly imprinted by their great example. Civilization in the north was about to be rekindled under the horse lords. 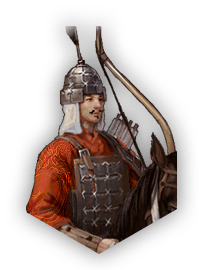 Tune in the next chapter as we examine the ascendancy and then the supremacy of the Touba clan, see how they manage to unite the disparate Xianbei tribesmen into a strong core that conquered all of northern China. 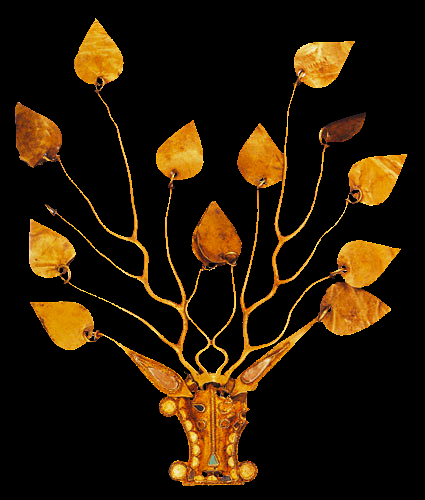 Also let us examine how their newly declared kingdom of Northern Wei became a beacon of a unique and distinctive form of Chinese culture as well, to not only continue the worthwhile legacy of the preceding Han and Jin dynasty, but take the Chinese civilization into greater height as well. 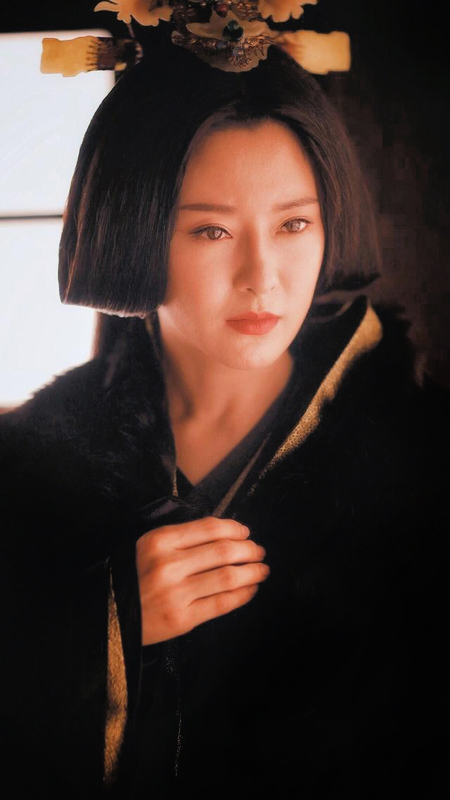 Tune in as we examine the important fixtures that defined this northern kingdom: the process of their adaptation of Chinese culture, their preservation of the distinctive steppe customs of their ancestors, the particular cruelty inflicted upon their royal women, and the strong willful women that was produced from such ruthless adversity. 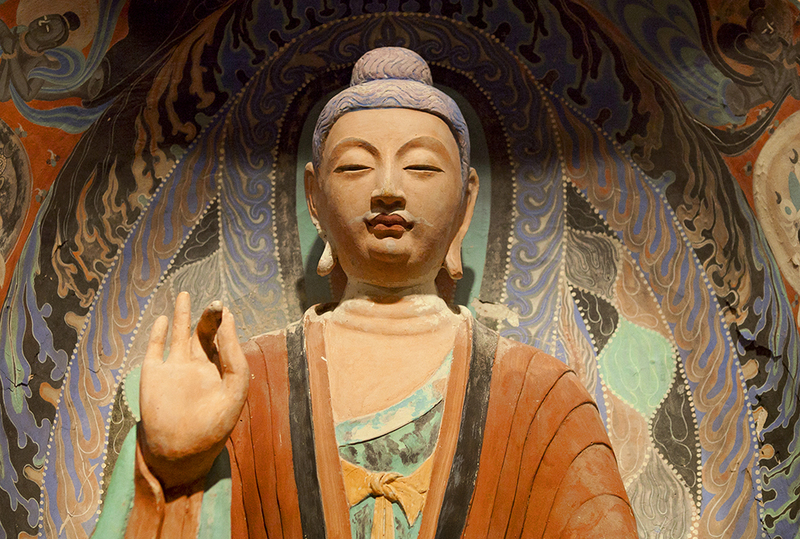 See the culmination of how a foreign people eventually became one of the most influential dynasties in Chinese history. So hi all 😄! I want you to know that your support has really meant a lot to me. Last year I was able to write 38 articles with your support, and this year I have wrote over 60 articles before the final quarters of 2018. I really plan to spend more time doing this, and find more opportunities to sit down and get the things I have been reading to you guys on a more consistent basis 🧐. Same goes for doing more Youtube videos, artworks and doing more commissioned concept art for you if you care to book it. 😏 It would be a huge solid for me on a personal level as well since I am between jobs and have to balance churning out articles, buying new books for research, family, and doing new artworks. If you like my works and like to see more of it. 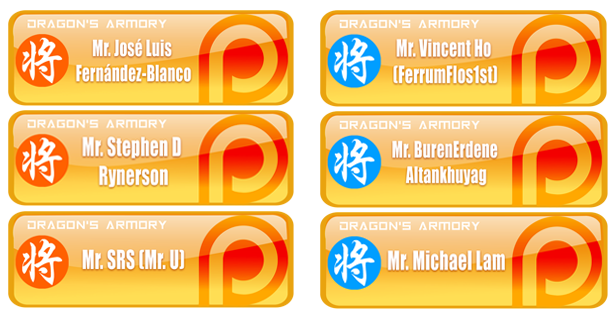 Please think of supporting me on Patreon or book an artwork from me- as this great gesture would mean the world to me, because you are already the world to me at this moment. Thank you 🤗. Excellent article as always, thank you. 1. In many ways this 'Dark Age' is comparable to the Dark Age which engulfed Europe after the fall of the Roman Empire, with the fall of the Han dynasty, the introduction of Buddhism, barbarian invasion, migration and settlement. But in other ways, it was very different wasn't it? The various Germanic barbarians invaded the Roman Empire and carved out kingdoms for themselves, but they never really became Roman ... retaining their languages instead of adopting Latin wholesale, etc. I wonder why? Did Germanic barbarians have a stronger sense of identity compared to the Xianbei? 2. You mention the brutal wars and invasions of this period, and describe the fall of cities and a ruined civilization, but why was it so? Wasn't the Warring States Period of Chinese history more brutal and all encompassing (due to more bureaucratic gov'ts), but that period saw an increase in urbanization and a flowering of philosophy and intellectual thought and technology. Why was this period different you think?? 3. 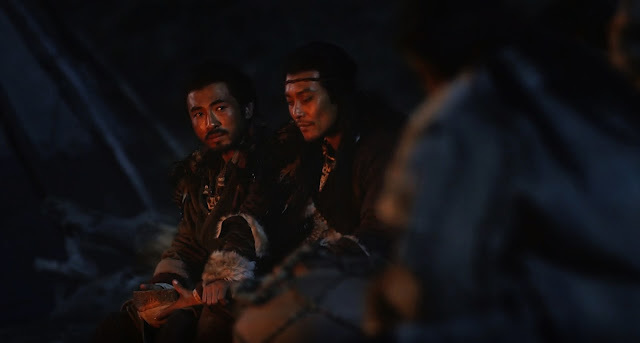 What are you thoughts on the connection with the words 'Xianbei' and 'Siberian' and the words 'Touba' and 'Chuvash' (the native people of Siberia)... are they connected you think?? Instead of the steppes of Central Asia, the perhaps the Xianbei had origins in the forests of Siberia?? Thanks again, I can't wait for the next article. You raised several good questions and I am afraid I only have hunches and no real evidence to back up my claims, but I'll give it a go anyway. Please do realize that at the end of the day these are at most only assumptions. 1. I think the reasons that the Germans and many other so called barbarians only took part of the Roman culture as their own (titles, offices, and perhaps later the western Latin church) was because at a very fundamental level Rome is less homogeneous than Han China, another in my opinion is the state of geography that was the Roman Empire. The Latin Italians might have eventually extended well enough around the Mediterranean to create a empire where the Mediterranean is their lake but by and large- despite the citizenship and the umbrella of Roman culture, most of the natives still are very distinct despite the Roman occupation. I am not saying that the Romans didn't harshly root out native elements, the Gallic identity and that of ancient Egypt was thoroughly destroyed during the Roman Empire, but that by the mid and late part of the Roman Empire, the influence of the Italians has drastically diminished. And there is the part that if you take a look at the geography of the empire you can see what that means when the very capital was just one of the many identities on the shape of a round table. As such other regions of the empire developed an almost parity with the Latin hold at the center of the figurative "lake" or the round table- Roman identity, and Roman court became just one of many identities that is in charge of the Roman fortunes. Merely one spoke on the wheel, or one number on the clock while power and influence was rotated elsewhere. Some of the best late Roman Empires were Illyrians, the best generals and officers in the Palace were Germans, and the best regions of the empire eventually became the east portion of the empire, eclipsing that of the West. 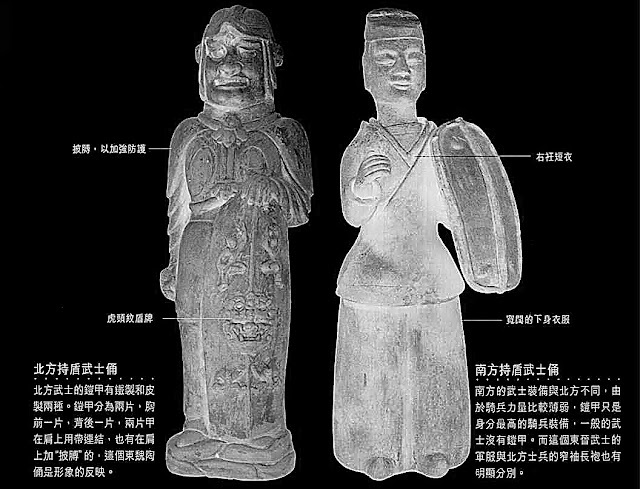 Compare that to Zhou, Qin and Han China, the shape of the state is one of a centralized state that had stretched until it hit a natural boundary, and managed to assimilate most of the cultures through both force as well as marriage. Because the center of the empire is so deeply ladden in the heart of such a state and secured by having the breadbasket of the empire usually right out the capital, it never needed to rely on that of its outlying regions like Rome did. Unlike Rome, which relied on Egypt far away to be the breadbasket of the empire. It has one as part of the sitting government. The culture and the government simply never relied too much on its outlying regions. This geographical arrangement pretty much allowed the regime to dictate its will to the rest of the empire. The immoveability of having the capitals sited in the breadbasket also allowed the native culture to securely sit there- at the heart of a populous state without too much fear of being dispossessed by a nearby foreign power. I'm sure when the nomads did manage to over take northern China they realized something very fast, 1 is that the native culture is not going anywhere. Their ways, their rites and their languages are preserved immaculately in written word and mountains of records. They are deeply populous, drastically outnumbering the foreigners, and at the same time they are technically advanced with better accounting and organization. So many just attempted to adopt these advanced to fill up the gaps between the two cultures while trying to keep to their ways. And in time they probably tired of the strifes on the open steppes and contented themselves with the taxes and lifestyles of the Middle Kingdon. Across the generations of record keeping and interactions with local politics and local citizenry already becoming Chinese in the process. 2. 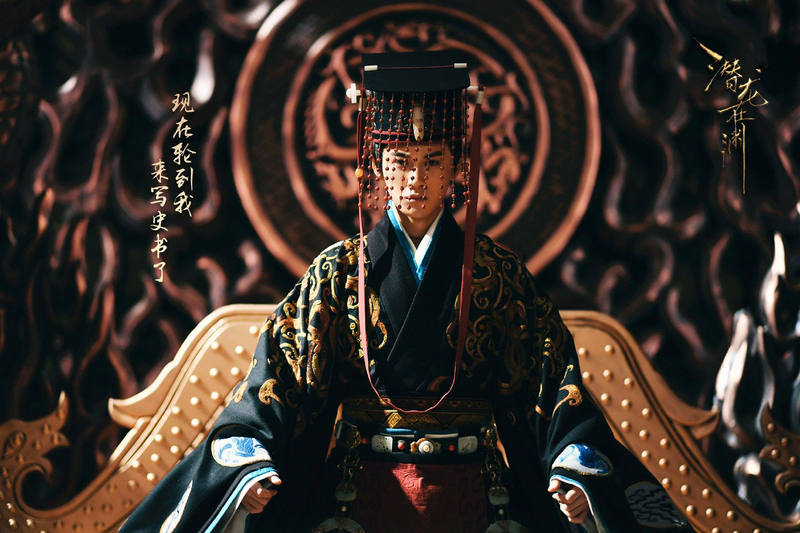 There is a pretty big difference between the Sixteen Kingdoms and the Warring States (or that of the Spring and Autumn period before it) namely in the way how the contemporaries saw themselves in the conflict. 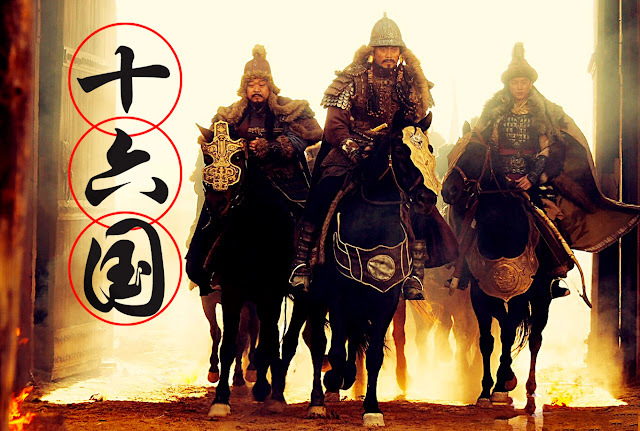 During the Zhou, and the Spring Autumn/ Warring State period. China was still feudal. More similar to feudal Japan and medieval Europe than the China after Qin's unification and Han consolidation. As such, although the land was Balkanized, there are still very formal rules in terms of inter state diplomacy, exchange, and even warfare. The ruler of the city-state kingdoms on a fundamental level still acknowledged the inheritance of their rival's lands. 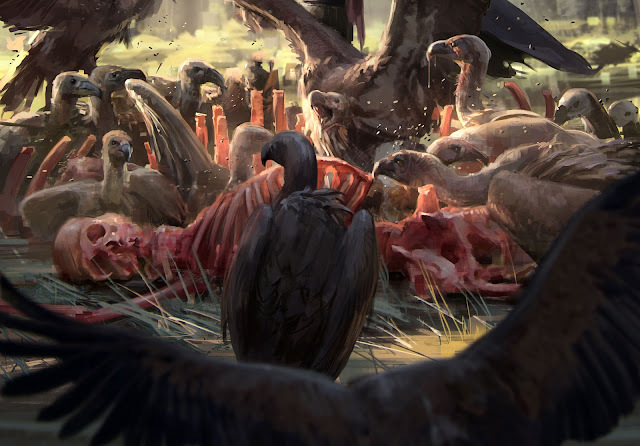 But most of the rulers of the Sixteen Kingdoms are total foriegners in this land, and most if not all of them wanted to claim all and vanquish their immediate foes. This no holds barred war of supremacy was one of survival and total claim over all what was the heartland of the Jin empire. Not just some war over some prefectured between two province sized states. 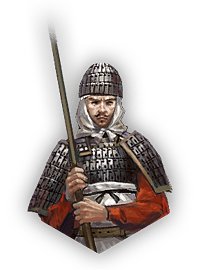 As such- because of the states, and the needs for survival, all of those foriegn barbarians (remember, despite breaching into China together, they are ethnically, linguistically, and culturally different) waged a total war against each other with the native population as their subjects. 3. I really can't answer that question, mainly because the origin of the etymology of Siberia is very much contended among the scholars. Because I have never studied Altaic, or Tungustic language or cultural norms up close. I have no bearing on the issue what so ever. It's one of the regions why for Northern Wei I only stuck to what I knew from the Chinese traditions. 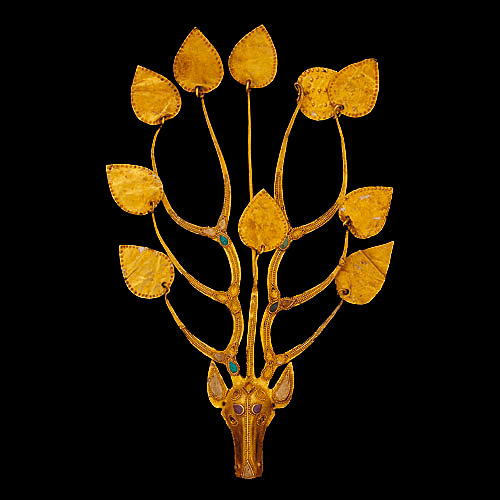 Although the rulers of the Northern Wei did kept to their distinctive steppe ways. 1. Excellent summary, thank you. But we should not exaggerate the differences between 'Germanic' barbarians and the 'Roman' population as you say. If the Xianbei are said to be 'Sinicised' than most of the Germanic barbarians can be said to be 'Romanized' or described as 'Italianate', specifically in their writing system (I'm writing in English using the Roman alphabet), one specific Germanic tribe, the Franks, converted to Roman Catholicism and expanded that religion across Europe, and one of their greatest kings, Charlemagne, crowned himself Augustus and Caesar, imperator of the Western Roman Empire and wanted to marry the Empress of Byzantium to reunify the Roman Empire ... a mission very similar to a Chinese warlord and dynasty founder, the only difference is the Carolingians failed and the Holy Roman Empire never became a T'ang Dynasty. 2. Good point, the northern nomads didn't share the same culture as the Warring States Chinese. 3. I think Xianbei and Siber-ian are congnate. Even looking at their art that you posted, it reminds me of Native American art, and the connection between Siberians and Native Americans is well established. Before the Xianbei converted to Buddhism, they, like most northern barbarians, were Shamanists, again, sharing the same religion as Native Americans. @Der, in addressing to your points about 1. I do agree that the Germans, though they did eventually became many kingdoms were worthy inheritors of Rome. In the given circumstances they did the best they could, and even before the likes of Charlemagne, the likes of Theodoric and Charles Martel as the Mayor of the Palace (and let's be honest- the fireman of the kingdom) did very well in creating a functioning German- Latin state that pursued Germanic interest of kingship and claims while preserving the apperatus of the old Roman institutions. But there are also some differences, there was never an upsurge swing of the old Latin culture. Despite the fact that the Germans converted to Christianity and embraced the catholic and Arian church, the Latin language fell into disuse, and same goes for the old political organizations of the empire and scientific innovations. Ultimately I think you are right in pointing out the similarities between Charlemagne and the rulers of Northern Wei. I have no doubt if the Franks didn't have those extremely troublesome Gavelkind sucession the Carolingian Empire would have resurrected at least a half- Roman state. Perhaps Holy Roman Empire in the truest sense of a feudal German empire that embraced the Latin Church. However I should still point out that what ultimately did the empire in was precisely the distinctive Germanic succession laws that was not part of the original Roman state (the Gavelkind sucession) -I feel that if- like the Northern Wei the Franks adopted the Roman inheritance system the empire would have endured better. Thanks again for your extensive comments. But I would disagree with one of your points. The Latin language did not fall into disuse, on the contrary, it morphed and changed like all languages do and became Italian, Spanish, Portuguese and yes, French ... French is the Latin language adopted by the originally Germanic speaking Frankish people who became the French. Although this was a long process, Charlemagne himself spoke a form of Flemish didn't he? But again, this is in contrast to Chinese history vis a vis the Barbarians. I'm no linguist, but I've read that Chinese is the least foreign influenced language in human history. And you would think with its history of being constantly invaded from the North, Chinese would retain more Altaic, Hunnish, Turkic, and of course Mongol and Manchus influence, but it doesn't.  And considering the Manchus, who conquered China relatively recently, the Manchus themselves quickly dropped their own Jurchen language and alphabetic writing system for Chinese. I've always found that perplexing. I guess to answer the later part of your question to have an ancient and preserved written language kind of allows you to preserve things while those that didn't have them could be easily replaced by another culture in conquest. Comparatively speaking because China had developed a writing system so early on in Asia it just defaulted to become used as the lingua franca by the neighboring polities if they needed storage. The ubiquities of it kind of make it hard to be displaced. Especially from cultures that as of yet has an alternative to challenge it. 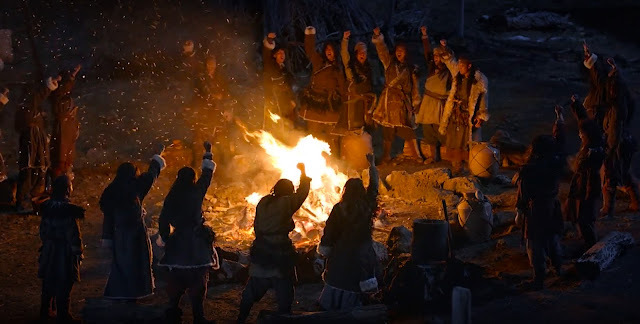 Remember that the nomadic cultures also have to deal with the languages of many diverse neighbors so once the dominant culture is displaced so does their grammatical structures and in time, even their oral traditions and more vitally in terms of statehood: its own narrative, territorial claims, and conceptualization of itself in stories and histories. I guess I should be lucky that Confucius saw very early on the necessity to preserve a culture through rituals and cultural paragons, so its ways and virtues would have context from generation to generation. Very glad to see a new article. The quality is superb as usual! Hoping to read more on this topic soon. Thanks for the kind words, hope you enjoy it!